X ‡Up to $600 to Spend on Board per stateroom is based on voyage length and stateroom type. Offer is applicable to all guests (up to 4) in a stateroom. Guests with single occupancy will receive double the per guest credit amount. Money to spend on board may be used on a single voyage only, is not redeemable for cash, cannot be used in the casino and expires at the end of that voyage. Offer is not transferable and may not be combinable with other select offers or other onboard credits. Money to spend on board is based on the ship’s onboard currency. ††FREE Room Upgrade applies to booking the stateroom location you wish to sail in for the price of the lowest category within that stateroom type (Interior to Interior, Oceanview to Oceanview, Balcony to Balcony, and Mini Suite to Mini Suite excluding Club Class). Upgrade offer excludes select categories, including, but not limited to premium categories. Offer does not apply to the land portion of a cruisetour. ‡‡Fares from $99 USD for your extra guests apply to the 3rd and/or 4th guest booked in the same stateroom as the first and second guests and apply to minimum lead-in categories on a space-available basis at time of booking. Fares for other categories may vary. This offer has limited space regardless of stateroom availability and is subject to combinability limitations. This offer has limited space regardless of cabin availability and may not be combinable with any other public, group or past guest offers. Offer is not transferable and may not be combinable with other select offers and onboard credits. Offer is available to residents of the 50 United States, Canada, Puerto Rico, Mexico, Bermuda and the District of Columbia who are 21 years of age or older and receive this offer. Deposit of 10% per guest for bookings made under Come Back New Sale is refundable. Offer valid: March 1 – April 30, 2019. Reference promotion code: N3-/K3- ©2019, Princess Cruise Lines, Ltd. Ships of Bermudan and British registry. *Contact your CWT travel advisor to inquire about becoming a CWT Vacation Club member and for applicable voyages. SAVE $390 per person, plus exclusively from CWT receive a complimentary scenic cruise of Lake Wakatipu on board the iconic steamship TSS Earnslaw (valued at $130 CAD per couple) when booking Goway’s 10-day Out and About in New Zealand air-land getaway package. X New individual bookings made and under deposit between April 1 and 30, 2019 1 for travel May 1 – June 21, 2019. Savings available for other dates, please inquire. Savings are quoted in CAD per couple and are based on double/twin occupancy. Seasonal surcharges and blackout dates may apply, savings also based on flights Monday – Thursday, if travelling on a Fri/Sat/Sun a weekend surcharge will apply. Advance purchase and minimum stay requirements may apply to your airfare, if travelling within the advance purchase period surcharges may apply. Valid on the 10-day Out and About in New Zealand air-land getaway package only. Other conditions may apply. Receive $100 CAD to be used as a credit towards an optional excursion on the Breathtaking New Zealand tour. A voucher to save on your next trip! X New individual bookings made and under deposit between April 1 and 30, 2019. Valid for departures before December 20, 2020. Valid on Breathtaking New Zealand tour only. Cannot be combined with any other offers, promotions or discounts and is subject to availability. Does not apply to private groups, private departures, pre- or post-tour accommodation, insurance, airfare not included in the itinerary, upgrades, transfers, or other in-country or on-board services. Just You reserves the right to withdraw this offer from sale at any time without prior notice. Any refunds made with respect to products booked under this promotion shall be issued at the discounted rate. Just You reserves the right to cancel any booking due to unauthorized, altered, ineligible, or fraudulent use of discount. Just You is not responsible for technical or system errors that may interfere with or otherwise prohibit the use of the promotion. All Just You tours are subject to Just You's full booking conditions. Time to Embrace the Journey! Down Under Discovery - 20 days Auckland to Sydney. 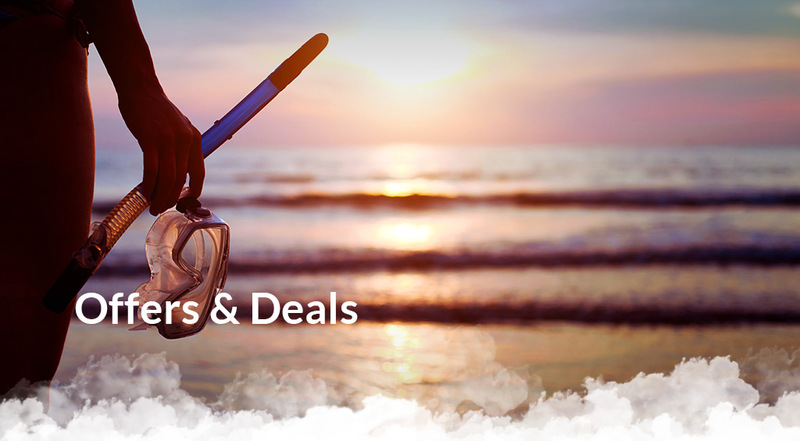 X *Book and deposit a 2019 Globus vacation (excluding Cuba and Escapes by Globus) to save 5% per person on the land-only portion of the core tour not including extra night accommodations, extensions, taxes/fees tips or supplements. Booking must be made, under deposit and discount applied between April 1 and 30, 2019 for travel in 2019. Does not apply to Cosmos, Monograms or Avalon Waterways. 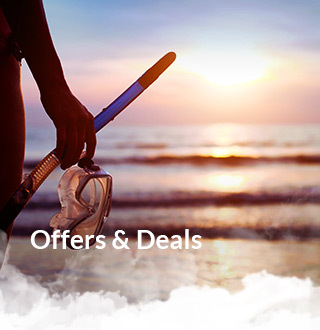 Offer is combinable only with the Welcome Back Credit and any applicable air promos. Offer reliant on space availability. Applies to new 2019 bookings only. Full cancellation penalties will apply. Additional restrictions may apply. May be withdrawn at any time.